Shares of Eastman Kodak more than doubled after the company waded into the digital-currency world with plans to launch an initial coin offering, media reports on Thursday said. On Tuesday, Kodak had said that the coin, KodakCoin, would be the backbone of a new platform that will help photographers license their work and track the unlicensed use of their images, Efe reported. "For many in the tech industry, 'blockchain' and 'cryptocurrency' are hot buzzwords, but for photographers who've long struggled to assert control over their work and how it's used, these buzzwords are the keys to solving what felt like an unsolvable problem," said Kodak CEO Jeff Clarke. The coin uses the technology behind bitcoin, called blockchain, to keep a digital ledger of the photographs. In an initial coin offering, a firm creates its own bitcoin-like digital token and offers it publicly for sale. The token is usually designed to unlock some service on an online platform, like with Kodak's project. Kodak's foray into cryptocurrencies boosted shares 119 per cent on Tuesday and put the company's market value at $290 million, according to FactSet. More than 65 million shares changed hands on the day, and the stock soared another 46 per cent in after-hours trading. Since emerging from bankruptcy protection in 2013, its highest-volume day before Tuesday occurred when 2.15 million shares changed hands, according to FactSet. Even with Tuesday's rise, Kodak is down more than 50 per cent over the last 12 months. The company has struggled to adapt to new technology in recent years, Dow Jones added. Initial coin offerings are a relatively new phenomenon that exploded in 2017, raising more than $4 billion last year, though regulators like the Securities and Exchange Commission have warned about the risks and have shut down some egregious malefactors. Kodak is the latest company to see its shares soar after publicizing plans to explore the world of bitcoin, blockchain and initial coin offerings. On Tuesday, Kodak's shares climbed $3.70, or 119 per cent, to $6.80, Dow Jones added in a report. Others getting into the area include a former electronic cigarette company, a biotech firm, and an entity formed last year through a reverse merger with a sports-bra maker. A company that owns several burger restaurants, Chanticleer Holdings Inc., saw its shares rise more than 40 per cent on January 2 when it announced that it would use blockchain technology to provide a currency for its customer loyalty programs. A firm formerly known as Long Island Iced Tea Corp. managed to avoid getting its shares delisted after it changed its name to Long Blockchain Corp. last month and said it was pivoting to investing in blockchain technology. Sometimes, even rumours are enough to send a company's shares higher, Dow Jones added. Western Union Co. and Seagate Technology PLC have both popped in the past few days after little-known websites claimed the companies had ties to a digital currency called Ripple. Western Union and Seagate didn't respond to a request for comment. Ripple, the company, declined to comment. KodakCoin's initial coin offering, or ICO, will begin on January 31 and is open to accredited investors from the US, UK, Canada and other select countries. 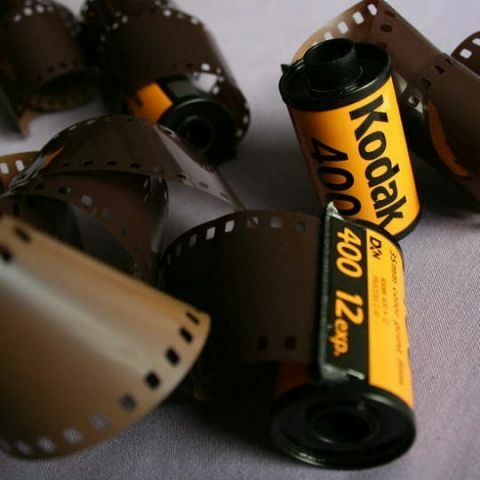 A Kodak spokesman said the ICO is being offered by WENN Digital, a technology company that created the KodakOne platform and the KodakCoin cryptocurrency. Kodak and WENN entered a licensing partnership for the platform and KodakCoin. Is kodak c143 easy share value for money??? ?Should i buy it?? ?